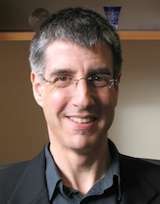 Daniel Mark Wolpert FRS FMedSci (born 8 September 1963) is a British medical doctor, neuroscientist and engineer, who has made important contributions in computational biology. He is Professor of Engineering at the University of Cambridge from 2005, and also became the Royal Society Noreen Murray Research Professorship in Neurobiology from 2013. Wolpert was educated at the Hall School and Westminster School. He went on to the University of Cambridge to study mathematics. But after only a year he shifted to medicine, as he experienced "that medics were having much more fun than mathematicians." He completed a Bachelor of Arts in medical sciences in 1985. He completed his Bachelor of Medicine, Bachelor of Surgery (BM BCh) in 1988, and PhD in physiology in 1992 from the University of Oxford. Wolpert pursued computational neuroscience as postdoctoral researcher (1992–1994) and McDonnell-Pew Fellow (1994–1995) in the Department of Brain and Cognitive Sciences at Massachusetts Institute of Technology. Daniel Wolpert on his qualification as medical doctor worked as Medical House officer in Oxford, in 1988. After completion of his research in 1995, he joined the faculty of Sobell Department of Neurophysiology, Institute of Neurology, University College London, as a Lecturer. He became Reader in Motor Neuroscience in 1999, and full Professor in 2002. He was appointed to Professor of Engineering at the Department of Engineering, University of Cambridge, in 2005. In 2013, he also became the Royal Society Noreen Murray Research Professorship in Neurobiology. Wolpert is the son of a renowned South-African born developmental and evolutionary biologist Lewis Wolpert, and his wife Elizabeth (née Brownstein). Since 1990, Wolpert has been married to Mary Anne Shorrock; they have two daughters. ↑ Blakemore, Sarah-Jayne (2000). Recognising the sensory consequences of one's own actions (PhD thesis). University College London. ↑ Blakemore, S. J.; Wolpert, D. M.; Frith, C. D. (1999). "The cerebellum contributes to somatosensory cortical activity during self-produced tactile stimulation". NeuroImage. 10 (4): 448–59. doi:10.1006/nimg.1999.0478. PMID 10493902. 1 2 "Sensorimotor Learning Group (Wolpertlab): News". Computational & Biological Learning Lab, Department of Engineering, University of Cambridge. 2013. Retrieved 5 September 2013. ↑ Wolpert, D. M.; Ghahramani, Z; Jordan, M. I. (1995). "An internal model for sensorimotor integration". Science. New York. 269 (5232): 1880–2. doi:10.1126/science.7569931. PMID 7569931. 1 2 Harris, C. M.; Wolpert, D. M. (1998). "Signal-dependent noise determines motor planning". Nature. 394 (6695): 780–4. doi:10.1038/29528. PMID 9723616. ↑ Wolpert, D. M.; Kawato, M. (1998). "Multiple paired forward and inverse models for motor control". Neural Networks. 11 (7–8): 1317–29. doi:10.1016/S0893-6080(98)00066-5. PMID 12662752. ↑ "13th Queen Square Symposium: Interview with Professor Daniel Wolpert". University College London. 29 March 2012. Retrieved 11 February 2014. ↑ Wolpert, Daniel Mark (1992). Overcoming time delays in visuomotor control (PhD thesis). University of Oxford. ↑ "CURRICULUM VITAE" (PDF). University of Cambridge. 2013. Retrieved 5 September 2013.